WOW!!! My first ever commissioned piece!!! 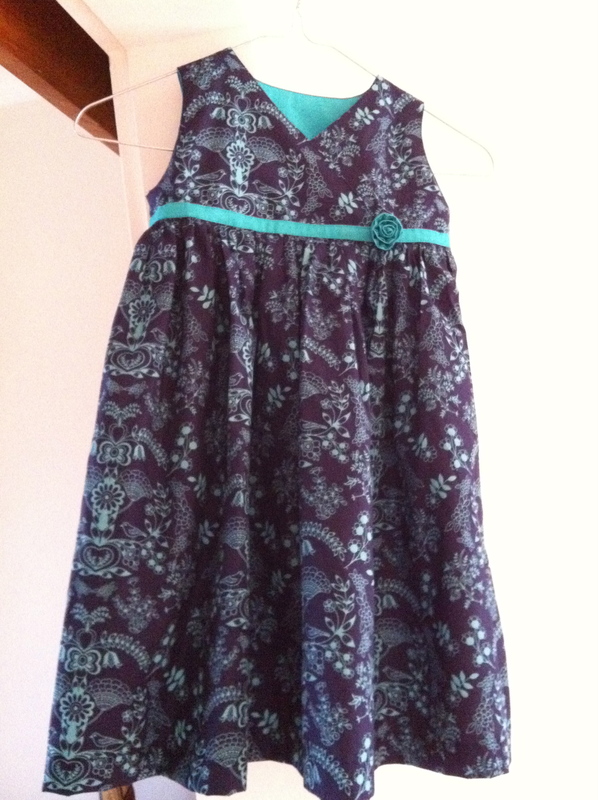 Recently I was asked if I could recommend a dressmaker to make a frock for a flower girl. I offered to do it and here is the result – a pretty little dress worn by a gorgeous girl to her Aunt’s wedding in Switzerland. When discussing fabrics options with Miss O’s Mumma, I immediately thought of quilting cottons (naturally) and for a small child, what could be softer and feel nicer than Art Gallery Fabrics. The wedding invite was provided with the colour scheme – navy and teal. This Pat Bravo Modernolgy was the perfect match to the invite colours, it also matched the theme – both the invite and the fabric have two little birds looking at each other on them! To make the sash, I used an Art Gallery Pure Elements solid. I have a growing collection of these solids and I absolutely love sewing with them – they feel so luxurious in my hands. I must admit, I loved Art Gallery fabrics before they were a popular choice. I bought some many, many moons ago in a clearance bin and I’ve sought them out ever since. It took me a while to work out how to make the dress. So many “flower girl” frocks are too frilly and too long for a 15 month old and/or they use satin and tulle and other non-breathing scratchy fabrics which I wanted to avoid. 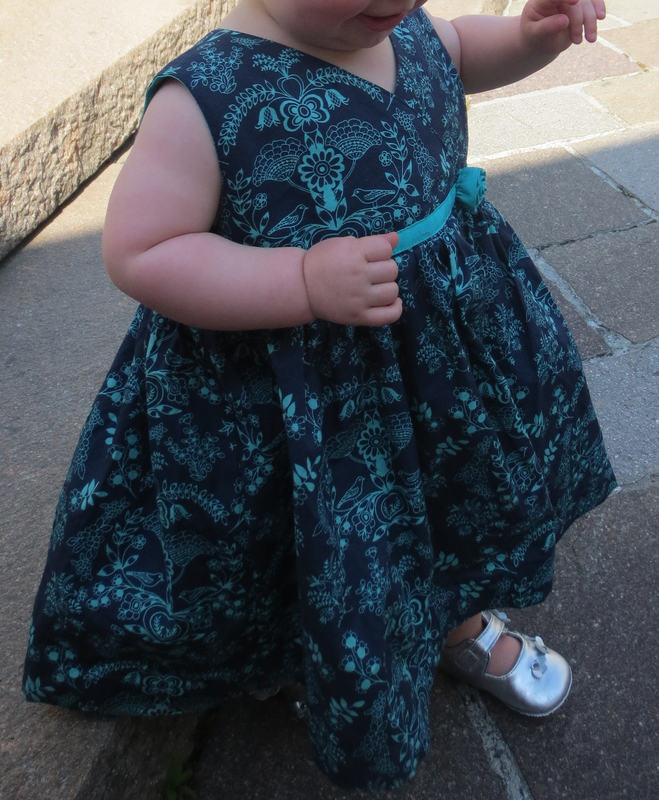 In the end, I used the bodice from the Pretty as Picture dress in Anna Maria Horner’s book Handmade Beginnings (I’ve made this dress before for my smallest and it’s super easy to sew up as well as to get on and off). Given the occasion, I felt that the skirt needed to be longer and more full than this pattern provided for so I improvised a bit and played around and after a bit of tinkering, I ended up cutting two large rectangles (one each for the front and back), stitched them together, gathered them and joined them to the bodice. I added the sash and made a little fabric flower for a bit of extra detail – it was a dress for a flower girl after all! **The photo at the top of this post was not taken by me. Credit to RB. This entry was posted in Uncategorized on September 6, 2012 by procrasticraft. Jules, this dress is fantastic, congratulations!! One of a kind & for such a great occasion too. 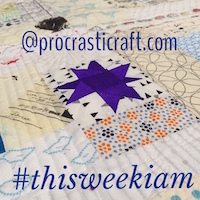 Thanks so much for telling me you are enjoying the granny square cushion you got from me at SIT – that is really sweet! I’m so happy to tell you that I used your needlecase and pouch on an overseas trip just last week!! All the best for your new crafty adventures!